Some days are just rough, you know? Not end-of-the-world catastrophic, or making-an-appearance-on-COPS traumatic, just rough. 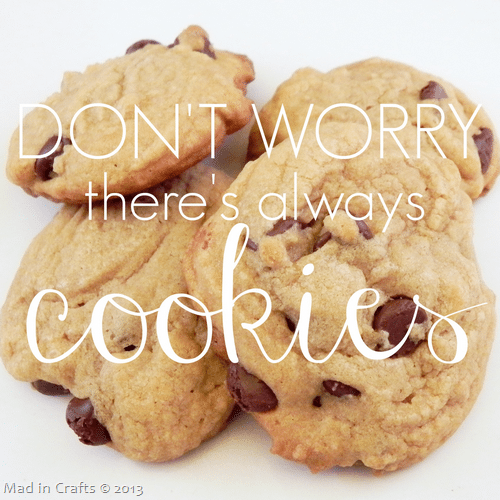 But even on those disappointing, tiring days, there’s still cookies. Delicious, life-affirming cookies that remind you that tomorrow is another day. I think this is the best chocolate chip cookie recipe I have ever made. 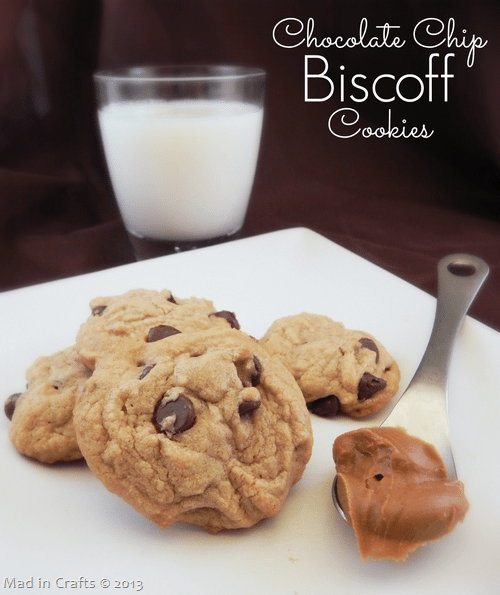 The defining ingredient is the Biscoff cookie spread. The stuff is magical, on par with Nutella. The spread gives the cookie an extra brown sugar taste boost and a soft, chewy texture. So yum. Sift the flour and mix in the salt in a mixing bowl. Set aside. Mix together the softened butter and Biscoff spread. Cream the sugars into the butter mixture. Add in the egg, the additional egg white, and vanilla. Add the dry mixture into the wet, slowly while mixing. Drop the dough by spoonfuls onto a lined baking sheet. Bake for 8-9 minutes, or until the edges begin to brown. Don’t overbake!